The Jacob Henry Mansion Estate is a distinctive, unique setting for wedding ceremonies and receptions. A beautiful place for your beautiful day. 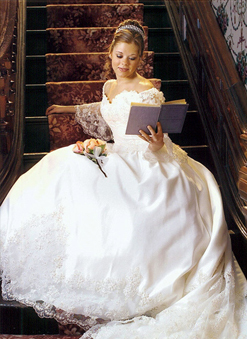 Wedding party photos, staged along the Mansion’s magnificent staircase, become treasured heirlooms. Intimate conversations with guests, in the library, the dining room, on the second-floor landing, become happy memories. Moments spent dancing underneath the stars in the courtyard, or under the twinkling chandeliers, in the drawing room, become legendary. Ceremonies and receptions at the Jacob Henry Mansion Estate are custom-designed to reflect your style as a couple. In the time prior to your wedding, our wedding specialist will develop intimate working relationships with you-making certain every detail is accounted for, every wish is granted, and every moment of your wedding day is blissful. Our entire team focuses on you, the Bride and Groom, making your every dream come true.